Asthma is one of 27 Chronic Disease List (CDL) conditions that all medical aid schemes in South Africa are required to cover. 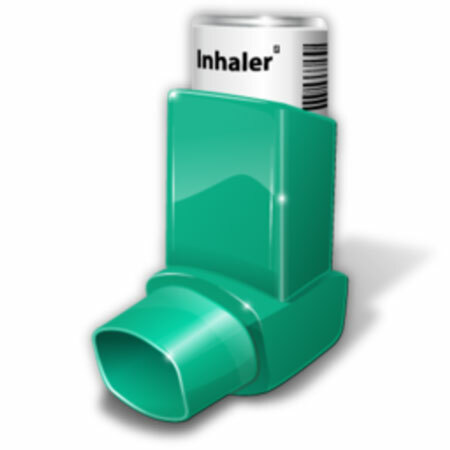 Asthma is a chronic, incurable lung disease that affects the sufferer’s ability to breathe properly. According to recent estimates, almost 4 million people in South Africa are living with asthma and require long-term treatment and care for it. Medical aid schemes typically prescribe the use of designated service providers (DSPs) and medicine formularies for low-level medical aid plans. More expensive plans offer members the freedom to use whichever service providers they choose. Medicine formularies either don’t apply or are more comprehensive than those for lower-tier medical aid plans. Medical aid schemes offer members access to chronic medication and information via designated service provider where applicable. The Gp’s provide information, prescribe medication and assist in the process of making sure that the chronic condition is under control. Medical aid schemes also typically offer defined treatment guidelines. These outline the best possible treatment protocols and the most appropriate chronic medications for conditions like asthma. To give an idea of what the leading medical aids in South Africa provide in terms of asthma cover, we consider the chronic benefits offered by two medical aids – Fedhealth and Discovery Health. Fedhealth provides chronic disease benefits on all of its medical aid plans. Members with asthma must apply for chronic benefits and, once registered, they must make sure that they maintain the condition under control by following the guidelines of their treatment plan. The top-level Maxima Plus plan has no formulary restrictions and members can use service providers of their choice. On the other hand, the least expensive plan – Maxima Entry Zone – has a restrictive formulary and covers services only from DSPs. Members of mid-level plans will have to make co-payments if they elect to use out of formulary medicines. Medication is covered at the Medicine Price List rate. Discovery Health offers chronic illness benefits across its medical aid plans. Treatment guidelines specify exactly what consultations and diagnostic tests are covered, and beneficiaries must register with the benefit program to qualify for the benefits. The chronic illness benefit covers the cost of all medications in full, provided they are listed on the formulary, or medicine list, associated with a particular plan or series of plans. A major plus is the “out of formulary” medicine benefit. Discovery Health will cover the cost of medication not on the medicine list up to a prescribed rand limit each month – a roll-over limit referred to as the Chronic Drug Amount. Discovery Health’s top-level Executive plan offers full cover for approved consultations, diagnostic tests and medications on the formulary, as well as access to a range of exclusive brand medications. Members can use any service providers they choose. The entry-level KeyCare Access/Core/Plus series offers essential cover for chronic medications on the restrictive KeyCare formulary, provided a network-linked GP has prescribed the medication. DSPs must be used or co-payment will apply. For more information about medical aid cover for asthma, contact our team of independent consultants.